Little Painted Nails: Duck, Dodge and Most Importantly, Admit Nothing! Duck, Dodge and Most Importantly, Admit Nothing! Avery, my eldest, takes after me in a lot of ways. One of which, a trait that serves me well at least 30% of the time is the ability to ignore problems until the time when they are ready to explode. I’ve watched my daughter do this and wondered what my role is in this part of her development. Fortunately for me, this sort of problem is precisely the kind of situation that I am able to ignore until it explodes. 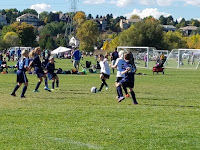 Avery was playing in a soccer tournament a couple of weekends ago. It was a two-day affair in Denver, because, who needs weekends? The first game went great…for Avery. She played well and seemed confident, a hurdle that she sometimes wrestles with. The team lost, but I’ve said to the girls on plenty of occasions, play hard, leave it on the field and I’ll be proud win or lose. Avery was invited to go have lunch with some teammates and the rest of us sat around talking about the game and Avery’s efforts. To those who don’t know me, I’m not huge on a nine-year-old team needing to win. For me, it’s more about learning the fundamentals, making friends and having fun. When I was coaching, I had three rules: listen to your coach, try hard, and have fun. During game one, regardless of the loss, Avery seemed to have fun, step one, and she was invited to lunch by a friend, step two, assuming she listened to her coach, mission accomplished. Then came game two. Avery returned from lunch and was starting lineup for game two. She played for a little while but seemed a bit listless. 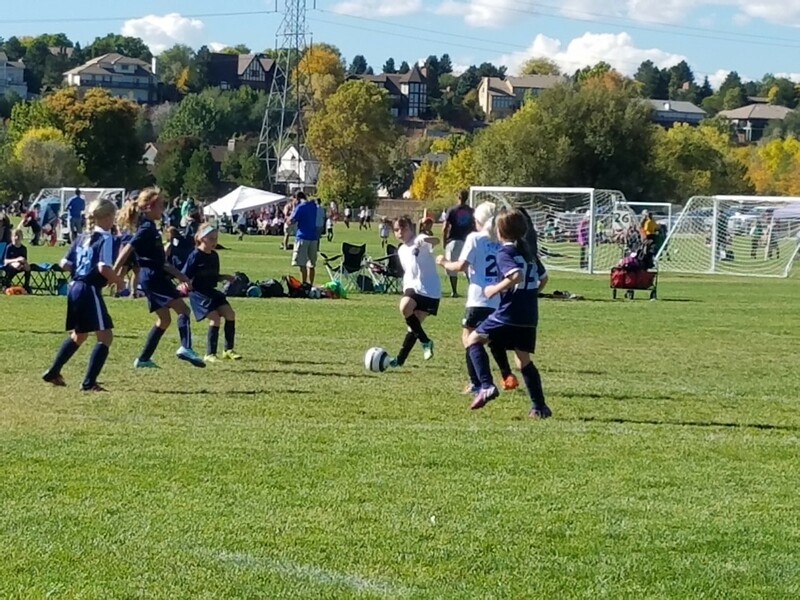 The coach had warned before the tournament that kids not giving their best effort would not play as much as their effort filled counterparts. Avery was taken out of the game, but not so quickly as to raise red flags. When she came off the field, the coach gave her a little instruction and she sat on the bench. A few minutes later she was back in the game but this time for only a minute or two. Red Flag! This was the first half and she would not return to the game. There were a couple of other girls who suffered the same fate. The game was 0-0 until the other team scored with less than a minute to play. I personally thought it was because the girls who were allowed to play were exhausted and some very good players were well rested from their extended stay in the coach’s doghouse. The team had a huddle after the game and I overheard the coach say how proud she was of the girls for their efforts. Avery was sniffling as she walked towards me. I pulled her aside and sat down with her for a few minutes. “What happened, babe?” I asked thinking I knew the answer. “I don’t want to talk about it” Avery replied, tears now flowing. We did this version of verbal ping pong for a few minutes, knowing full well that she was deploying my standard ‘ignore it till it goes away’ method. It would have worked, too, but she was talking to the Bruce Lee of this technique. “We’re talking about it, Avery, but you aren’t in trouble. We have to know what happened so it doesn’t happen again.” All of this was said with me thinking that she was pulled from the game for lack of trying. “I was out of position. I was supposed to be playing right-midfield and I kept getting out of position but I didn’t know where I was supposed to be.” She replied a little desperately. I didn’t see it coming. I went from a semi-prepared statement about responsibility to your teammates and trying your best to being sure that the coach had it wrong and that Avery was being punished for a coaching shortcoming. I felt my temperature rise a little. Long story a little less long, Adrienne and I agreed to wait until after the tournament to talk to the coach about it. No reason to make the next day tough on Avery. As it turns out, it was the right call. A day or two later we called the coach to discuss. Her response would surprise us both. It seems that she was, in fact pulled for being out of position, and the coach described to Avery where she was supposed to be and gave her a rest on the bench. When she put her beck in, Avery was still out of position so she took her out of the game for what was supposed to be a couple of minutes. She figured out a way to talk to her about it that she thought Avery would better understand. However, while on the bench, Avery and a couple of other girls decided to play with each other instead of paying attention. They were advised that they would go back in when they could pay attention to their teammates. They didn’t pay attention to the game, so they didn’t go back into it. I had been played by my own game. She told me enough of the story to be honest, but not the full story. It was one of her father’s classic moves. She told me about the out of position thing but had left out the left out the ‘not paying attention despite the coach’s request’ thing. One is worse than the other, Avery knew it, and she tried to run my game against me. She didn’t see us calling the coach. I would have done the same thing. So here’s the thing. Go ahead and tell me when you screw something up. I’m a pretty understanding guy and I had my fair share of screw ups growing up. I remember losing a baseball game because I wasn’t paying attention in right field. I’ve been there. It’s not a huge deal, just tell the truth and learn from it. The three rules still apply, listen to your coach try hard and have fun but maybe we add a fourth, you’re going to mess up from time to time. Take responsibility. Trust me, there’s a certain satisfaction in saying, “yep, I did it, I’m sorry, it won’t happen again.” Just so you know, I’m still working on this one, too.